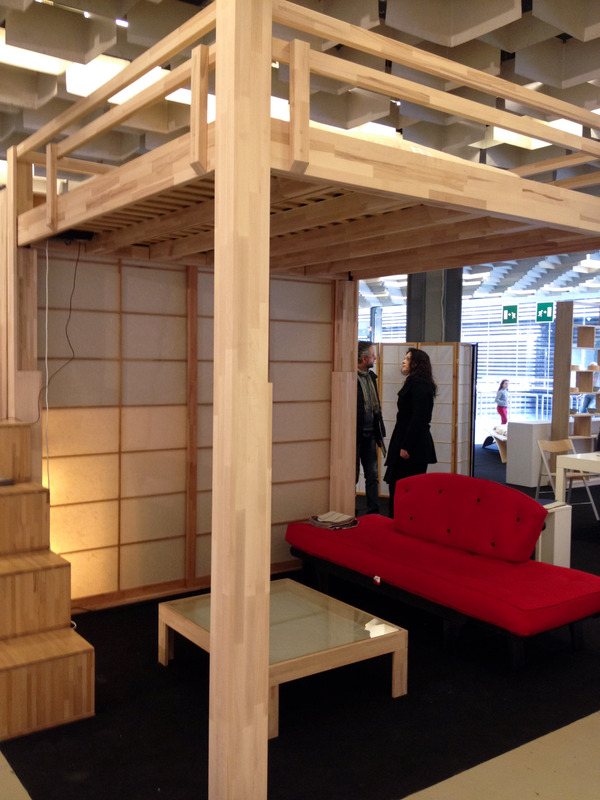 Salone di Firenze – These aren't gray hairs, these are highlights! Having seen an advertisement in the bus for the Salone di Firenze, a furniture and home accessories fair, we took a jaunt there today. It was held at the Fortezza da Basso, a fort built in the sixteenth century and now Florence’s primary exhibition venue. Our first stop was the food hall, where we had a panini; it was rather dry, but it served its purpose of keeping me from having a food meltdown. Perusing the stalls gave us a chance to sample all kinds of tidbits and make note of the places from which to make purchases before leaving. The platform is raised and lowered electronically. On top of it is a bed. When the bed is not in use, it can be stored up and out of the way, and the space below used for other purposes. When it’s bedtime, the platform is lowered to the level of the stairs seen on the left (which have storage drawers). A well-thought-out feature is that the closets have sliding doors and are accessible from both ground and platform levels. 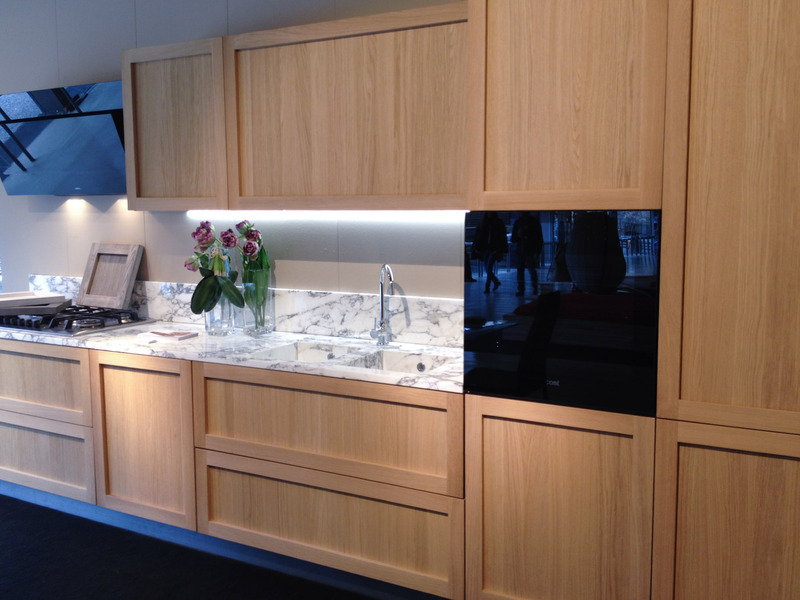 I loved this kitchen. Everything – stove top, oven, refrigerator and freezer, sink, and cabinets – is along one wall. The contraption on the left that looks like a flat screen is a ventilation hood and light. It’s all very sleek and efficient. 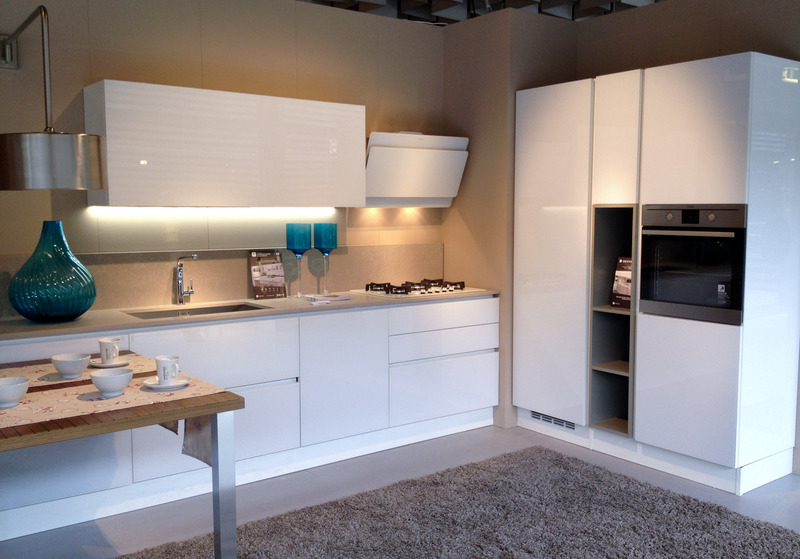 I liked this kitchen too. Although the white surfaces would probably show fingerprints, I loved how bright and clean they looked and heck, keep the lights low or learn to live with smudges! While I liked how the dining table wrapped around the end of the counter to the left, it blocked access to those drawers. In the cabinet above the sink is something that I first saw in the apartment I rented in Florence a couple of years ago. 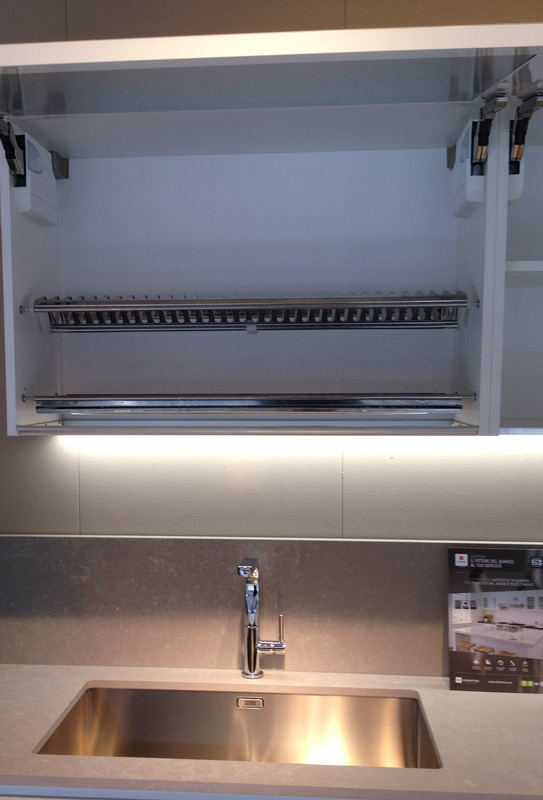 It’s a drying rack for dishes – the water drips into the sink and there’s no rack and tray taking up counter room. It’s so clever! 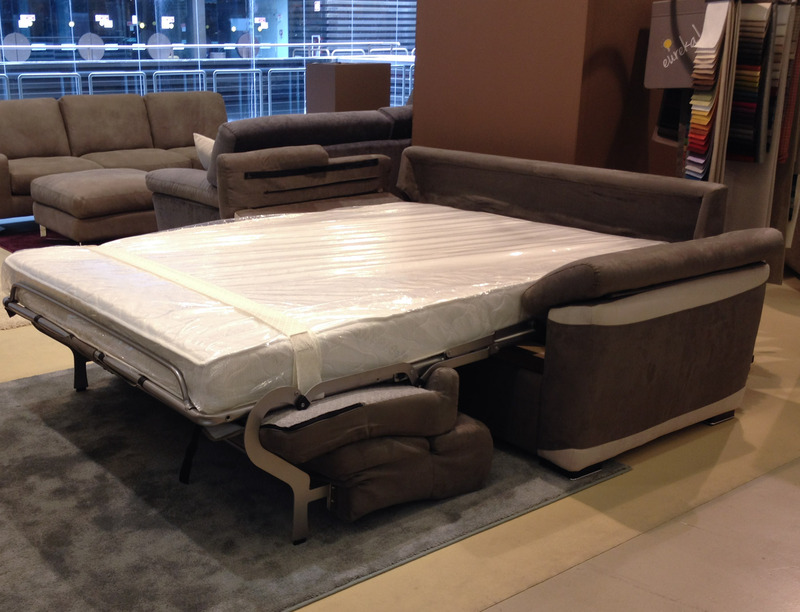 This is the first sofa bed I’ve ever seen where the cushions stay attached to the bed when it’s open. 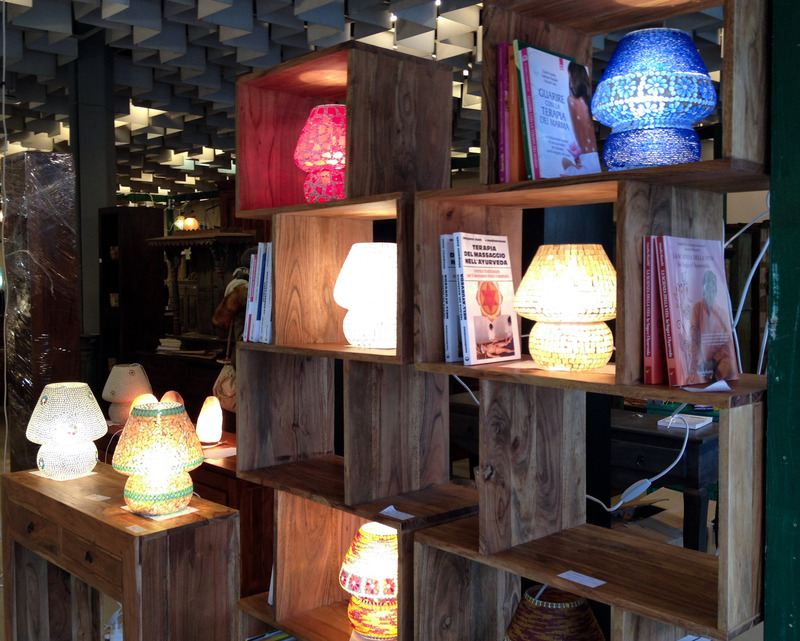 These beautiful lamps caught my eye; I was tempted to buy the blue one, but resisted. 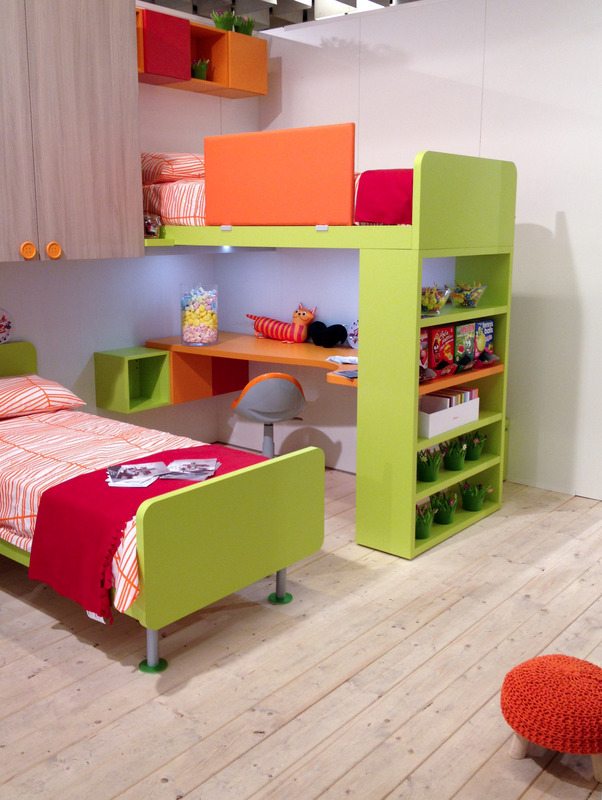 While these are not my kind of colors, this children’s room looks so happy. The cabinet pulls are buttons. It was an interesting afternoon. Overall, in addition to intriguing design, there seemed to be an emphasis on efficient use of space, presumably because living spaces are smaller than what many of us are used to in the USA. And yes, we did return to the food hall to make purchases of chocolate, cannoli, and taralli, a delicious, addictive snack cracker!